Race Eight of the ITM 400 Auckland was full of chaos, but Pepsi Max Crew FPR's Will Davison sailed through for the win – and to take the top position in the Championship, while he's at it. 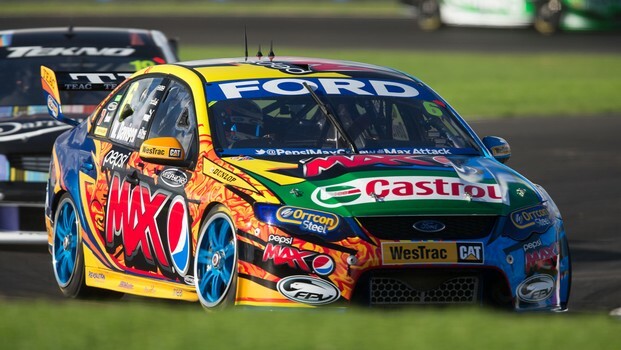 Davison's teammate Mark Winterbottom battled with yesterday's winner Jamie Whincup – and both finished way down the pack in 23 and 24, Winterbottom with steering dramas and Whincup having made a driver's error. The race was packed with incidents with many under investigation, including a stouch between Tony D'Alberto, Tim Blanchard and Lee Holdsworth; James Courtney and Shane Van Gisbergen; and between Winterbottom and Whincup. Davison was followed home by Kiwis Shane Van Gisbergen and Fabian Coulthard, with Craig Lowndes and Garth Tander rounding out the top five. 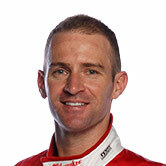 The win is a great one for Ford, with a Falcon driver not having won at Pukekohe for nine years, since Marcos Ambrose. Davison becomes the seventh winner for 2013 and leads the chase for the Jason Richards Memorial Trophy, which will be awarded after the last race, coming up at 3.55pm local New Zealand time.